Douglas Charles "Doug" Marrone is an American football coach and former offensive lineman who is currently the head coach of the Jacksonville Jaguars of the National Football League (NFL). 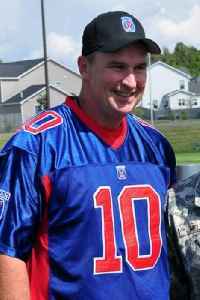 He was the head coach at Syracuse University from 2009 to 2012 and the Buffalo Bills head coach from 2013 to 2014. Before that he served as offensive coordinator for the New Orleans Saints from 2006 to 2008. He is of Italian ancestry.